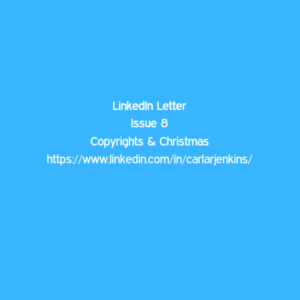 Here’s a blurb from the latest issue of LinkedIn Letter! Follow me on LinkedIn to read it all! Great share. Being aware of copyright and other ways to protect yourself is so very important. You have to protect your intellectual property. Copyrights achieve that.